2. Once you filled up the document, You need to go to Abshir office which will be in another section of same Jawazat office and need to fill up another form there with all the details of your dependent's including expired date of exit re entry visa, At last you will give them to sign and stamp, This process is also known as Maloomatan Muqeem, After this you need to attest this form through Ministry Of Interior (MOI). 3. You need to get a letter from your sponsor or employer requesting MOI(Ministry Of Interior) to attest those documents which you got from the Jawazat office. 4. 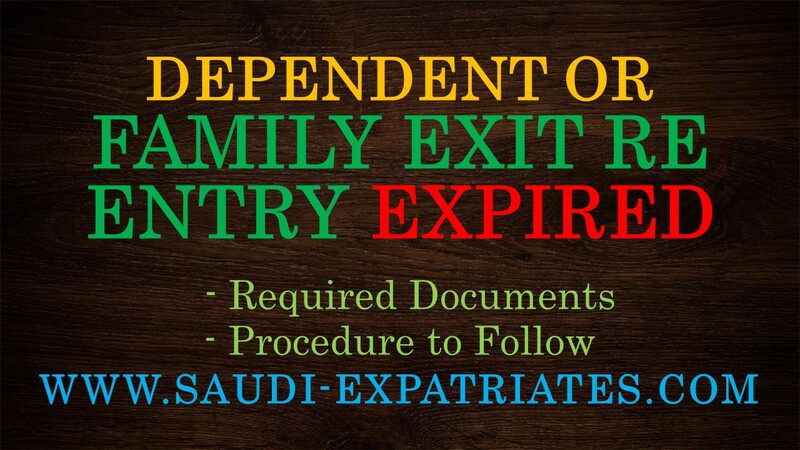 Now you need to write a letter to Saudi Embassy expressing you need to extend exit re entry of your dependent's. You can take a sample letter from the agent's near jawazat office or you can ask them to write for you. 7. Hire an agent in your home country, Who will process your further things, Ask him is he need any more documents for submitting to Saudi Embassy of your home country.